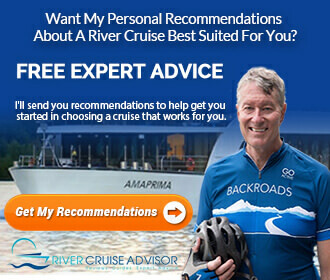 Nearly everyone who visits River Cruise Advisor has one thing in common: They want to know what makes one river cruise better (or worse) than another. Specifically, they want to know why Company A may be a better choice for them than Company B, or vice versa. It’s an understandable quest. After all, no one river cruise company will suit everyone’s needs or desires, and the trick is to find the one that best fits your needs. There are a ton of variables, from wine and beer with lunch and dinner to all-inclusive beverages all the time, from single staterooms to spacious suites, from fixed windows to balconies, from gentle excursions to active ones – and more. Want to get off the ship and bicycle along the river? Not all companies carry bikes on board. Like to soak in a tub while enjoying a glass of champagne? Only a few river cruise ships have accommodations with tubs. Don’t like (or do like) handing over gratuities at the end of your cruise? You’ll need to be selective. 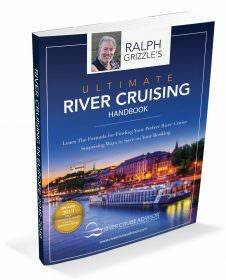 Not all river cruise companies include gratuities. Others cover gratuities from the moment you step onto the ship until the moment you leave. 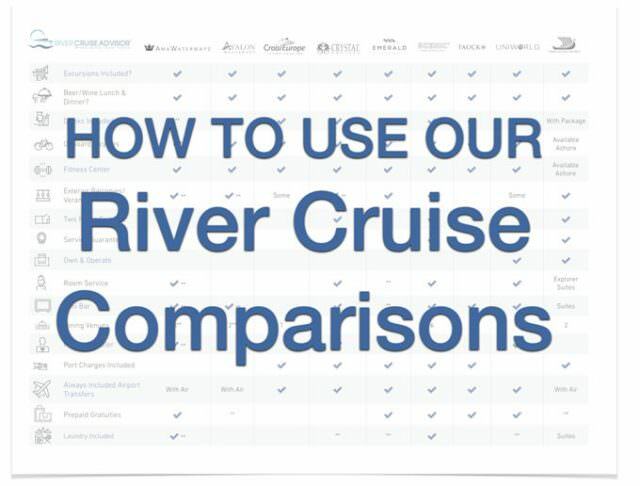 Our River Cruise Comparisons cover a range of quantifiers. As one measure, we typically look at per diems, defined as what you can expect to spend on your river cruise when broken down on a daily basis. More on that in a moment. We also look at inclusions in Comparing River Cruise Companies, where we outline the Attributes of the Top River Cruise Companies. Our readers tell us that this chart has a big impact on their decisions about which river cruise company they select. We do our best to keep it relevant and accurate. Our “per diems” charts are not just one chart but rather a series of charts, through which we look at the bottom-line costs of what you can expect to pay for your river cruise. It’s not an easy task to arrive at what we call the “true per diem,” because we have to factor in incentives, such as free or reduced airfare, and inclusions, such as gratuities and beverages, and much more. If you’re a newbie, by the way, you should know that nearly all river cruise companies include wine, beer and soft drinks with lunch and dinner, as well as excursions. We’ve done our best, using an Excel spreadsheet, to bring you the numbers. Here are the rivers that we’ve priced on a company by company basis for 2018. We have many other comparisons, all listed on this page.